First Trailer for Call of Duty Infinite Warfare Has Been Deployed! Home » Site-Sections » Gadget News » First Trailer for Call of Duty Infinite Warfare Has Been Deployed! 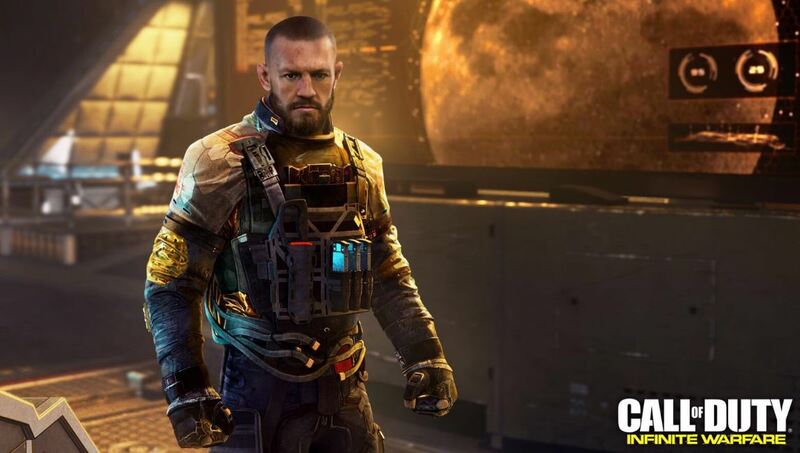 Game of Thrones star Kit Harington and UFC sensation Conor McGregor have appeared in the first trailer for Call of Duty: Infinite Warfare which drops November 4th on PS4, Xbox One and Windows PC. This year’s Call of Duty story is set in space, in a distant future, when Earth has been drained of its resources and mankind is joined (quite fictionally) as one race under the banner of the United Nations Space Alliance (UNSA). Colonies have been formed through the solar system but hostilities have risen due to a separatist faction called the Settlement Defense Front (SDF) thus leading to the Inifinite Warfare referenced in the game’s title. From this first look of the game in action Call of Duty: Infinite Warfare looks to be one of the best looking and performing in the series yet and a fresh spin for next gen console gamers. Available on both PlayStation and Xbox brands the game will also come with built in 4K HDR experiences, unique to those who buy the upcoming PS4 Pro.